The Ford Escape is an exceptional member of the Ford lineup. Fitting neatly into the crossover utility vehicle market, the Ford Escape has that rare combination of power, performance, comfort, and fuel efficiency that sets a vehicle apart from the competition. Currently in its third generation, with a 2020 refresh in the near future, we want to recap what makes the Escape a pillar of Ford’s vehicle lineup. First released in 2000 for the 2001 model year, the Escape immediately turned heads. The vehicle was actually a joint development between Ford and Mazda (of which Ford had a controlling interest). Instead of using a pickup truck-based, body on frame design with a solid rear axle (which improved load carrying capacity, at the expense of comfort and handling), Ford and Mazda chose a smaller unibody design that utilized both rack-and-pinion steering as well as independent suspension. The exceptional Escape continued this tradition of car-like handling and has either debuted or gracefully integrated many of Ford’s new technological advancements, such as Intelligent AWD and the EcoBoost engine. Speaking of the EcoBoost engine, the Ford Escape has always been on the forefront of clean, fuel efficient driving. The original Escape was actually the first SUV to offer a hybrid drivetrain and utilize regenerative braking. Additionally the 2005 model Escape offered exceptional fuel economy thanks to its true hybrid engine, allowing the driver to switch between a gas and electric engine. This blend of fuel economy and performance led to the Escape Hybrid winning the North American Truck of the Year award in 2005. The Escape Hybrid sold incredibly well, with each year being better than the last, until Ford retired the Escape Hybrid due to the EcoBoost engine offering comparable fuel efficiency to the hybrid engine. Stylistically, the Ford Escape didn’t change very much over its first two generations. But in its third generation, the Escape underwent a fairly significant refresh,making it look more like the exceptional crossover that it is, rather than an SUV. And, according to spy shots of the 2020 Escape, it may embrace an even sleeker appearance for the next generation. Don’t be fooled, the Ford Escape is more than just good looks; the current Escape boasts a number of technologies that put it at the top of its class, along with performance features such as a 3,500 lb towing capacity and an engine that produces 245 hp and 275 lb-ft. of torque.  There are plenty of reasons to get behind the wheel of the exceptional Ford Escape, but don’t just take our word for it — come by Team Ford today and test drive the most capable and powerful crossover utility vehicle in the market. There is no better way to Escape the ordinary.